Isn’t this the best time of the year? The winter cold slowly fades away, to be replaced by the thin and hopeful sunlight of early spring. Club football enters its decisive phase, with lots to play for in every competition. Whatsmore, we’ve got Champions League football lined up this week. The world’s most watched competition is back, with a splendid series of knockout ties. Article by José Perez, Om Arvind, Sergio Sampaio and guest writer Siddharth Ramsundar. 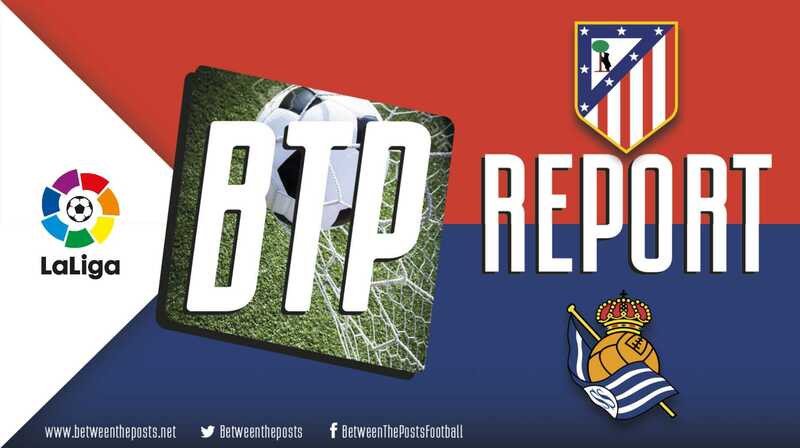 In this special Champions League knockout preview, we will assemble the knowledge from our team of tactical experts to bring you a preview of each club ahead of these decisive matches. 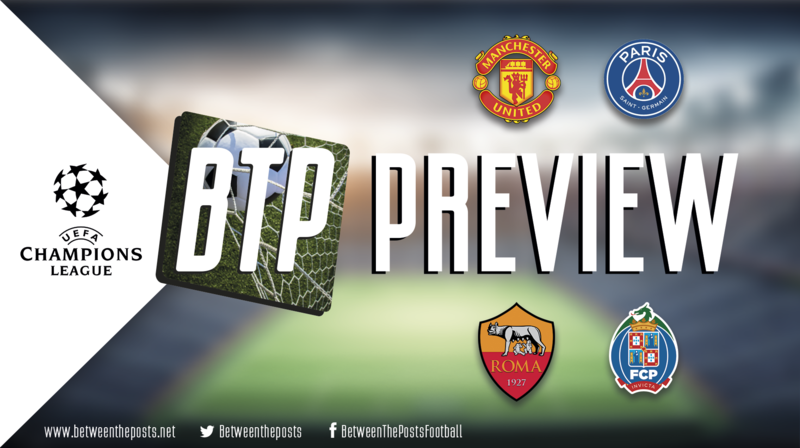 Today, we will kick-off with part one, telling you all about the four teams in action tonight. Tomorrow, we will follow this up with part two. The Champions League is back. Knockout football, baby! PSG have been growing into a true Thomas Tuchel side, and have come a long way since their loss at Anfield early in the season. Tuchel’s challenge going into the season was building a dominant Champions League contender despite clear weaknesses in midfield and at fullback. He often sets his side up in a 4-3-3 formation, with solid, structured ball-possession followed by havoc in the final third. The one-third of the pitch that is closest to the opposition’s goal. 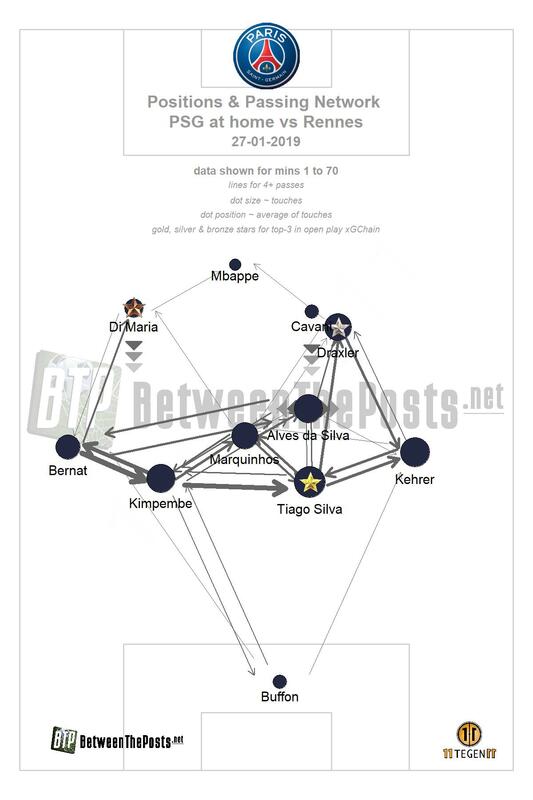 Thomas Meunier and Juan Bernat have largely replaced Dani Alves and Layvin Kurzawa as starting fullbacks. Central midfield has often been an experiment. While Marco Verratti is a surefire starter, Tuchel has given minutes to Draxler, Marquinhos, Di María and even Dani Alves here while looking for his best lineup. Recent injuries to Neymar and Verratti – along with the exile of Adrien Rabiot – have robbed PSG of much of their momentum heading into the tie. They lost to Lyon after playing a makeshift midfield against Tanguy Ndombele. The fullbacks are still a tier below the level needed at this competition. Marco Verratti could still return for the United tie, while new signing Leandro Paredes is a potential wildcard, giving Tuchel plenty of options. After a false start to the season under José Mourinho, United have finally been playing to potential under Ole Gunnar Solskjaer, who has found some fairly potent 4-3-3 variations that he can put out. The caretaker’s biggest changes have been reinstating the best players into the starting lineup and encouraging them both on and off the pitch. Paul Pogba and Marcus Rashford have been among the biggest beneficiaries of Solskjaer’s time in charge. Coupled with consistent performances from Lingard, Shaw, Matić, Herrera and De Gea, it is easy to see how United have nine wins in their last ten games. The team plays fast, attacking football while letting Pogba roam into the box and releasing their wingers, a big change from the ponderous football seen under Mourinho. United’s biggest problem going into this game – or even this competition – is their defense. A lot of their recent wins have come against weaker sides. In one of their few real tests under Solskjaer, against Spurs away, they conceded a decent share of chances. While the attackers can match up against most teams, the team remains too reliant on De Gea when up against quality competition. The matchup itself is fairly interesting, because it could swing in so many directions. United’s defense will face a stern test against Mbappé, Cavani – who will be back for the return – and Di María. At the same time, PSG could see a ton of great chances go to waste because of David De Gea. United might not get a sniff of the game because of PSG’s midfield dominance, but Tuchel still has to put together a balanced midfield with only one serious two-way central midfielder in Verratti, whose availability still remains a doubt at this point. 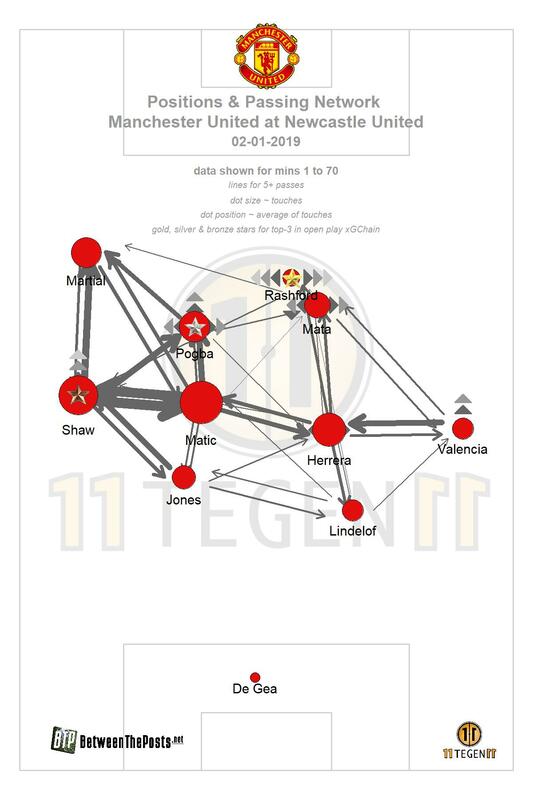 United’s midfield and wing talent overwhelming their individual matchups is pretty conceivable. In Paris, expect Solskjaer to send out a lineup nearly identical to the one that beat Tottenham at Wembley, with Lukaku benched in favor of a more mobile front three. Lingard is practically undroppable the way he is playing, and he will be essential to United’s medium block A medium block refers to a team that retreats in their own half out of possession, generally only disrupting their opponents some way into their own half. press and transition efforts. Fred may be considered over Herrera for his mobility, though the latter has been in great form recently. Tuchel should put out his strongest possible team for this game, which might mean Marquinhos over Paredes in midfield. Marquinhos should help with the threat of Paul Pogba’s runs forward while freeing up Draxler and Verratti ahead of him. Paredes may get the nod if Verratti is indeed unavailable. PSG go through in a close tie after capitalizing on United’s mistakes at the back. Under the leadership of manager Sergio Conceiçao, Porto broke four years of Benfica dominance to win the 2017/18 Portuguese title. 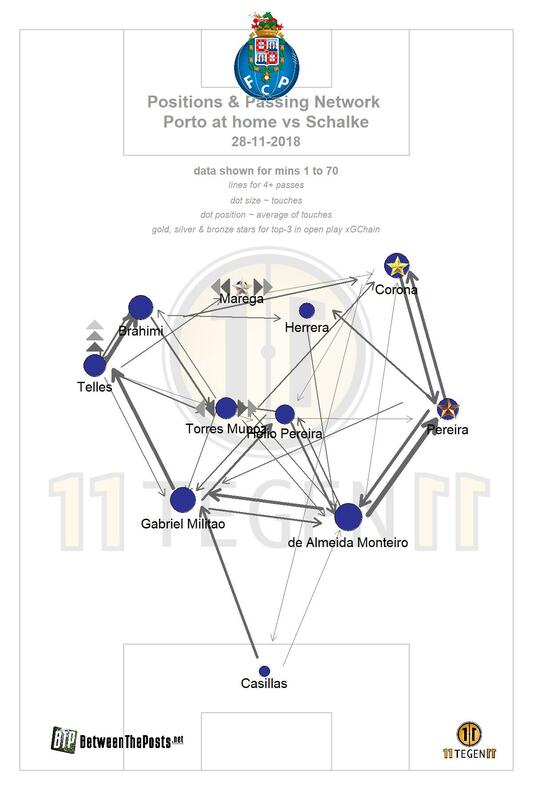 Despite having good midfield talents in Sérgio Oliveira, Oliver Torres and Hector Herrera, Conceiçao’s Porto prefers to be more direct. They operate in a compact defensive medium block and then try to exploit the spaces behind their opponents’ defense with passes into space to striker Moussa Marega. When attacking from longer possessions, Porto tends to play through the wings and create chances through crosses from left back Alex Telles or the dribbling of their skillful wingers, Jesús Corona and Yacine Brahimi. In the league, Conceiçao lines up his team in a 4-4-2 shape, but in Champions League group stages he has mostly used a 4-3-3 shape. Last week, however, Porto were dealt a huge blow with the two-month injury of striker Marega. He is the team’s top scorer and one of the tactical keys of Conceição’s direct attacking system. Thus, Conceição’s biggest challenge in preparation for the Roma tie will be to reformulate his game plan without Marega. Eusebio Di Francesco’s Roma went into the 2018/19 season with a significant squad overhaul and big expectations of getting closer to Italian giants Napoli and Juventus. Roma use their pressing to enforce high-tempo, chaotic games with many transitions and physical duels. They normally line up with a 4-2-3-1 or 4-3-3 shape, but Di Francesco occasionally uses three central defenders at the back, like he did in last year’s Champions League knockouts. To create chances, Roma often take advantage of direct play on Edin Džeko, who is outstanding in the hold-up and lay-off game, or they use the one-versus-one skill of their wingers, usually Cengiz Ünder and Stephan El Shaarawy. However, Roma’s pressing game plan has become more difficult to implement this season, after the departures of midfielders Kevin Strootman and Radja Nainggolan. This has coincided with a decline in Roma’s underlying defensive numbers, Roma currently rank ninth in the Serie in terms of expected goals conceded, with 1.25 per match. and now Roma find themselves embroiled in a highly competitive fight for Serie A’s fourth and final Champions League spot. Due to their more aggressive pressing game, one would expect Roma to be the more proactive side, while Porto remains in their orderly medium block waiting for a chance to counter. When in possession, Roma will try to bypass Porto’s defensive block by playing long passes to Džeko and building up play on the wings. Chances often come from the one-versus-one skill of their wingers, as well as from crosses. The current injury of Ünder does change the plan a bit, though. In their last game against Milan, Di Francesco explored the option of using striker Patrick Schick on the right wing, which would provide Roma an alternative for direct play alongside Džeko. Džeko will try to come short and drift wide to move Porto’s central defenders – Felipe and a veteran Pepe – out of position. At the same time, Porto’s fullbacks – Militão and Telles – try to fend off the threat of Roma wingers. Those will be the key duels on that side of the pitch. On the other hand, Porto might change a lot without Marega. They will have more trouble punishing Roma’s aggression with counters, and will probably become a slower, less direct team. They will have to rely more on longer possessions to disorder Roma and get into good positions to cross into the box for striker Tiquinho Soares, who will be helped by midfielder Herrera and his aggressive runs into the box. Roma’s central defenders will be busy clearing those threats away from from their box. Meanwhile, Roma fullbacks – Florenzi and Kolarov – must fend off the threat of Porto wingers Brahimi and Otávio, who will likely replace the suspended Corona on the right wing. Roma are the more tactically unstable side, and in the first leg they have several key absences in Robin Olsen and Cengiz Ünder. On the other hand, Kostas Manolas is likely available. Roma are the more experienced side in this tie, and their talent at both ends of the pitch, especially with Džeko, is superior. If you like this article, please consider a membership of Between the Posts. 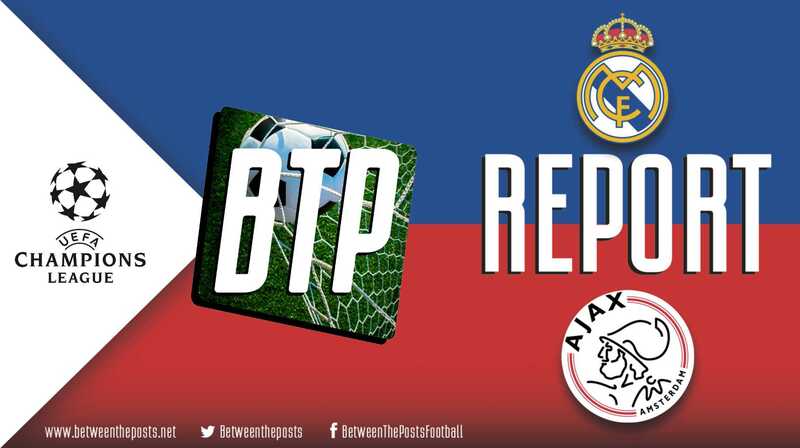 This will grant you access to all our coverage of the top five leagues and the Champions League plus our advanced team stats page. Finally, members are also encouraged to post comments and interact with our writers. I think the key to the game between Roma and Porto) will be consistency. Despite the absence of Marega, Porto seems to me, a more consistent team. Every time i watch Roma, i see a team that lacks horizontally compactness, where the wingers have difficulty cutting the inside pass. So, if they allow this against Porto, Brahimi’s skill inside and press resistance, can be decisive. I very much agree on that point, João. I put Roma as favorites because of individual talent and experience, but their pressing system is so unstable. Sometimes it goes horribly wrong like the 1-7 pummeling vs Fiorentina a couple weeks and sometimes it’s the 3-0 against Barca last year. We’ll see if Di Francesco keeps using such aggressive defending for Champions League or he tries something more conservative (like De Rossi – Nzonzi in midfield).